The French croissant is beloved the entire world over and quickly became a breakfast staple in many countries. And while it's hard to beat the classic croissant, we believe there's always room for improvement! If you're looking for a way to incorporate more fruit into your daily diet, this recipe for a sweet upgrade is the way to go. 1. Mix the yeast, sugar, milk, and eggs with the dough hook of a hand mixer. Then add in the flour. 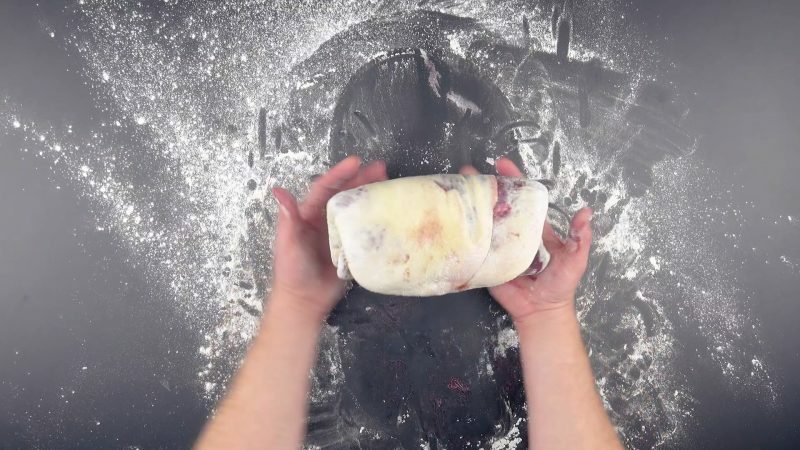 Knead the ingredients with your hands until a uniform dough forms. Roll the dough into a ball, place it back in the bowl, cover the bowl with a dish towel, and let it sit in a warm place for 1 hour. 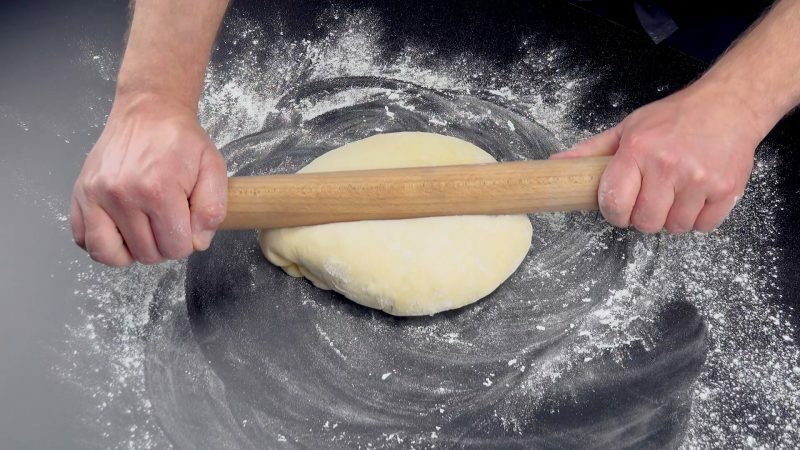 Flour your work surface and roll out the dough in an oval shape. 2. 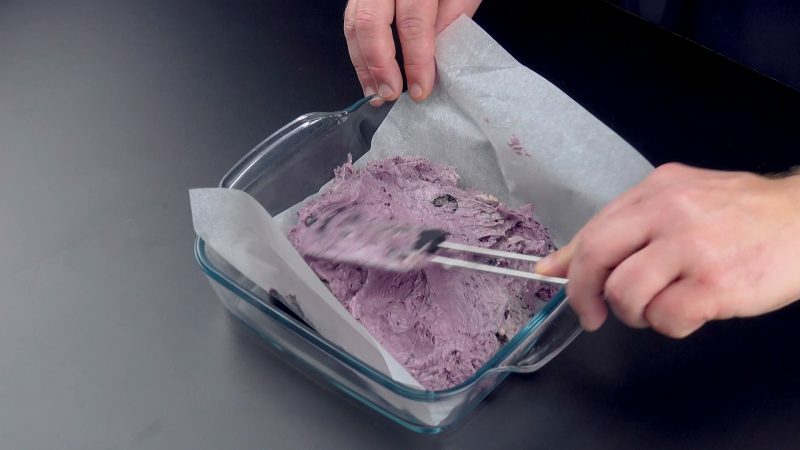 Make the blueberry butter by whipping all the ingredients together with a hand mixer until frothy. Line a square baking dish with parchment paper, pour the mass in, cover it with the parchment paper, and freeze for 30 minutes. 3. 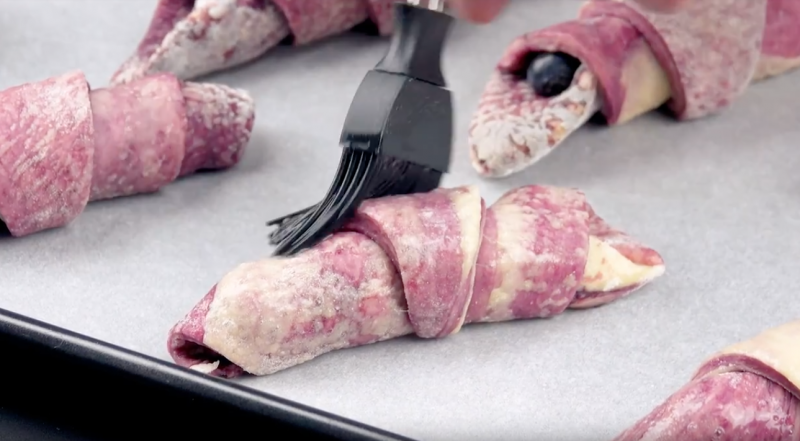 Remove the blueberry butter from the parchment paper, place it in the center of the rolled out dough, and smash the butter into the dough. Flour the dough square, turn it over, and roll it out again. Then fold it up again and repeat 4 times. Make sure to cool the dough each time before folding. After the last step, the dough should have a rectangular shape. Refrigerate again for about 2 hours. Flour your work surface again, put the dough on it, cut off half of the dough and set it aside. Roll out the other half to a very thin square and cut it into triangles. 4. 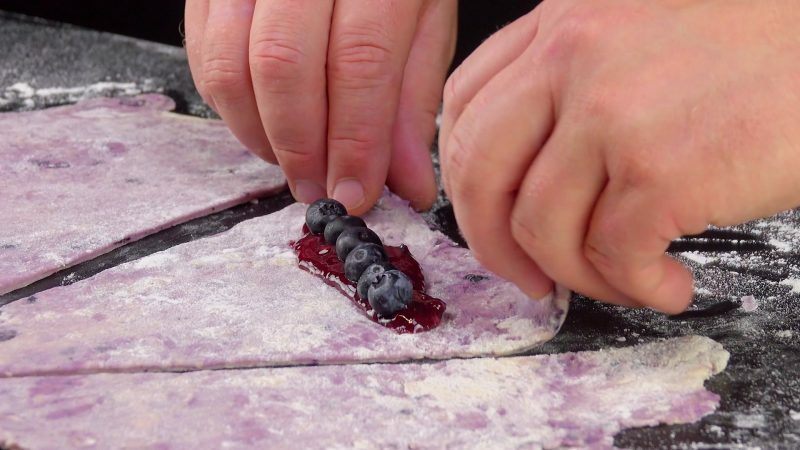 Add a small spoonful of jam to the end of each triangle and place a few blueberries on top of the jam. Then roll up the triangle from this end. 5. Place the rolled-up triangles on a baking sheet lined with parchment paper and coat the croissants with egg whites. Bake at 320°F for 50 minutes. Be sure to try this recipe with other fruits and jams – the sky is the limit! The recipe for sweet mini fruit pies featured in the bonus video can be found here.